Cosmic Fit Club is starting a brand new high energy Parents and Kids Acroyoga class for parents and their kids ages 2-8! Discover the fun of combining yoga with acrobatics! Parents will learn how to lift their kids into cool shapes in the air on their hands and feet and kids will learn how to fly and base each other! This is a playful class. It’s FREE if it’s your first time to this class. If you are interested in continuing, it’s only $180 (1 kid and 1 adult) for 10 classes. Instructor Joy Chen has a master degree from Cornell University who also speaks fluent Mandarin is trained as dancer, yogi, and acrobat. She was also a top instructor at Brooklyn Boulders for 6+ years! 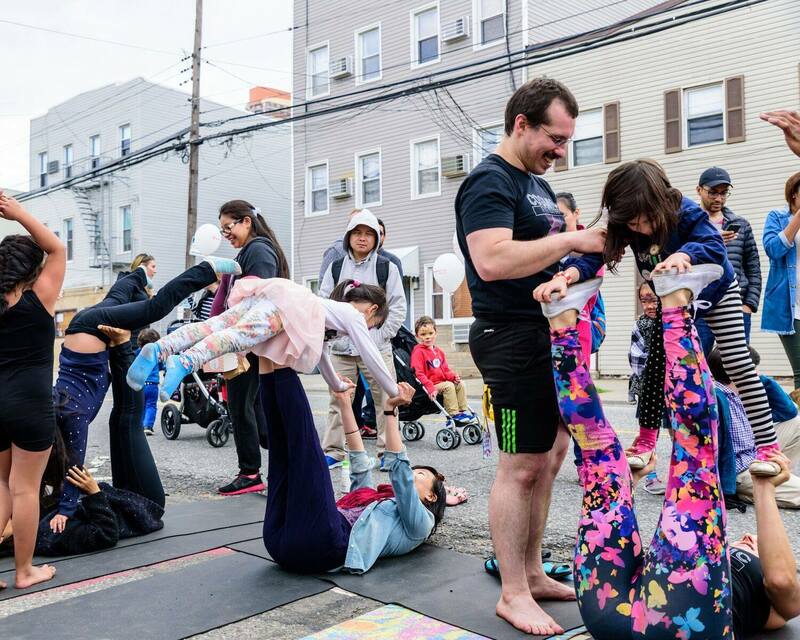 No user commented in " Parent & Kids Acroyoga Class "